Dr. Bruce Frye is proud to welcome patients to a practice where real caring and compassion combine with education and experience to provide the best in naturopathic and chiropractic care. His philosophy of caring support to the patients overall well-being, along with the help of a hand-picked, knowledgeable and trained staff creates excellence in both patient care and results. Dr. Frye received his chiropractic degree from Parker College of Chiropractic in 1993. He is trained in several methods: kinesiology, acupuncture, trigger point, diversified, and active reflex technique. Dr. Frye holds two patents on the Air Adjustor instrument, which aids chiropractors in administering a far more effective and lasting adjustment. 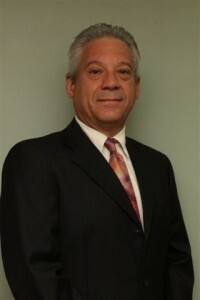 As a certified naturopath and chiropractor, along with the addition of his son, Dustin Frye, who holds a degree is medical molecular biology, Frye labs has formulated a multitude of herbal and nutritional nutraceuticals using cutting edge microencapsulation technology which have proven to aid patients in quick recovery. These products are used in clinical settings by doctors around the country. Dr. Frye is able to utilize this knowledge to help patients not only with skeletal and muscular issues; he is also able to help those suffering with a myriad of other physical conditions. Dr. Frye currently has naturopathic satellite clinics in South Carolina as well as his main clinic in Tulsa, Oklahoma. Dr. Frye has written two books “How to live in the Garden of Eden” and “I Have Taken His Name” which are valuable tools not only for achieving optimum health but also for principles to live life by. Natural health runs in the family. Dr. Frye comes from a long line of health care providers beginning with his grandfather, Dr. Harry Frye, who was licensed in Chiropractic in 1923 and practiced at the Frye Health Facility, a natural healing chiropractic hospital in Sulphur, Oklahoma. The tradition continued with his father, brother, and many uncles and cousins who practiced and are currently practicing in a variety of healthcare professions.